DLL means “Dynamic-Link Library” is a file of Microsoft Implementation of Shared Library, dll files are very important for operating system, these files are common for many software, they includes certain set of functions that can be used commonly for all the softwares. It will give error message when any .dll file miss or corrupt, so here I will show you to fix missing dll files. 1. Go to google type and search for “Microsoft Download Center” open the first link. 2. In the search box type “Directx end user runtime web installer” search and download this file. 3. After download make it run, this will install all dll file including missing dll files. I am not a qualified computer engineer, but recently I learned how to open DLL files and edit them, without damaging my computer. I think that it is a great achievement for a common individual like me. I got Error 1723 when trying to reinstall my old, beloved Quicken. Your approach was different to everyone else's and I just had a feeling I should try it. Success in mere minutes! I will subscribe and bookmark. Thank you very much. This still works, I just tried it out. Just an info for others who are doubting the method :) Thanks to the author! Your blog is very infromative. Ah man, I was searching for this solution for *years*, and finally I'm not getting this annoying error... I was actually ignoring it for quite some time, but now it's finally gone :D Thanks! 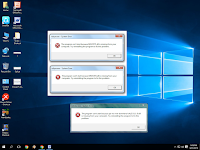 Experiencing difficulty opening Chrome program on Windows 10? Google Chrome won't open when you click on Chrome alternate route symbol on Desktop?